The ATV RiderCourse is exciting and fun! No matter your experience level, you’ll come away a better rider. The ATV RiderCourse is made up of a 2 hour on-line e-Course and a 2-2.5 hour hands-on training session, the S-Course. 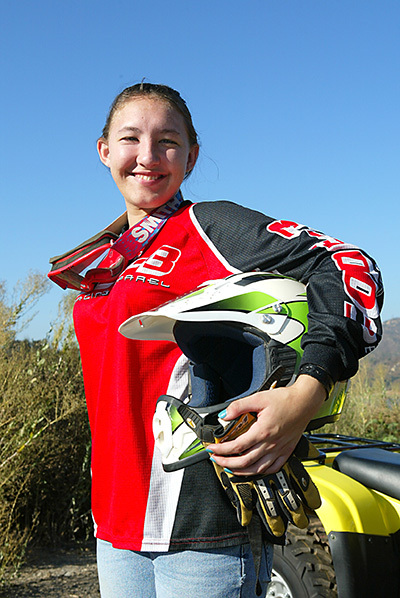 In other words, it’s an exciting ATV riding school, geared toward both kids and adults. You start in the comfort of your home on-line and learn safe riding strategies, pre-ride inspection, and demonstrations of proper riding posture. You’ll also learn about protective gear (like a proper ATV helmet), local regulations, places to ride, and how to protect the environment. Then, working with a Licensed Instructor you complete hands-on exercises to help you learn or improve starting and stopping, quick turns, hill riding, emergency stopping and swerving, and riding over obstacles safely. Proper ATV training and continued practice are the best ways to develop the skills you need to ride safely under all conditions. The more skilled you become, the more you will enjoy your ATV.